In 1981, the Center for Alternatives to Animal Testing looked like a quixotic venture. But through its efforts, more humane testing has not only spared animals, but improved science. If someone offered you a million bucks to play Don Quixote and tilt at windmills, would you take it? Just such a question landed on D.A. Henderson's desk in 1981, when leaders of the trade association for the cosmetics industry informed the then-dean of the School of Public Health they were interested in funding a new research center at Johns Hopkins. The offer did not come out of the blue. Rather, it came out of a media maelstrom centered on the industry's use of animals in product-safety tests. Animal Rights International and its charismatic leader, the late Henry Spira, had their sights set in particular during the late 1970s on the Draize Test evaluating whether experimental compounds caused skin problems. With images of scarred, disfigured rabbits all over the newspapers, the industry was on the defensive. The center that the Cosmetics, Toiletries, and Fragrances Association (CTFA) wanted to start would be devoted to seeking alternatives to animal tests. Hard as it is to turn down free money, Henderson was tempted in this case to do just that. Even back then, a million dollars didn't add up to much in the high-priced world of medical research. Plus, the proposal seemed more public-relations gambit than serious undertaking, with CTFA declining to make funding guarantees beyond an initial three-year grant. "It was an odd one," Henderson recalls. "The school had never done anything like it before, and quite frankly I can't say I had all that much hope for it. How much could we accomplish, really, before the money ran out?" Henderson consulted two trusted faculty administrators, Alan Goldberg, a toxicologist and associate dean for research, and Gareth Green, chair of the Department of Environmental Health Sciences. The trio weighed Henderson's doubts against accessing corporate dollars, a funding source then in woefully short supply at Public Health, and the allure of venturing into uncharted territory by taking a science-first approach to a highly charged, high-profile issue. In the end, the school went after the money. "Our feeling was that it was a reasonable and legitimate endeavor," Henderson says. "We figured that we might as well take a few pokes at this windmill and see what happens." Success in science takes many different forms. Sometimes, it's a full-blown "Eureka!" affair, with a new discovery arriving in a sudden blaze of front-page glory. More often, it's a long slog of incremental advances that manage to outdistance the intermittent setbacks that inevitably arise along the way. The story of the Center for Alternatives to Animal Testing (CAAT) at what is now the Bloomberg School of Public Health is of the latter variety. How could it be otherwise? Animal testing was a complex, controversial, and unsettled issue when the center was created, and it remains a complex, controversial, and unsettled issue today. But that doesn't mean nothing has changed. Twenty-five years ago, alternatives barely registered as a field of legitimate scientific inquiry. A British charity called the Fund for the Replacement of Animals in Medical Experiments had been established. A couple of scientific meetings had been held. But that was it, even in the face of growing public outrage stoked by a decade's worth of work by a resurgent animal-welfare movement. "When I'd get up before an audience of scientists and toxicologists, many of whom were probably expecting me to scold them, I used to start out by saying, 'I believe that everyone in this room is an animal welfarist.'" "No one in science was paying attention to this whole area," says Andrew Rowan, senior vice president for research, education, and international issues at the Humane Society of the United States. "There was no sense of urgency, no sense of obligation." That's no longer true. Last year's edition of the triennial World Congress for Alternatives to Animal Use drew more than 1,000 participants to Berlin and featured hundreds of presentations and talks. National scientific centers devoted to developing alternatives are in place all over the world, with new ones appearing recently in India and Brazil. There's talk of starting up a degree program tailored to alternatives�and of doing it through CAAT at Johns Hopkins, which, as one of the nation's largest biomedical research enterprises, experiments on animals in numbers that rank among the nation's highest. By necessity, this developing field moves in step with the wider world of science, reacting to its advances and sometimes sparking advances in its own right. 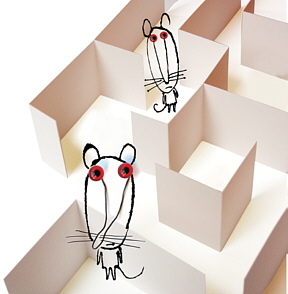 Studies that were conducted back in 1981 on mice or rats can now often be performed in vitro, using human cell lines. Some experiments that once required killing and autopsying animals can now be conducted in vivo on animals that outlive the study process. Advances in biostatistics and computer modeling of biological systems enable researchers to construct experiments using only a fraction of the animals they would have needed 25 years ago. The unwieldy, ever-shifting landscape that CAAT works on doesn't lend itself to "Eureka!" moments. But there's no doubt today that the long-shot endeavor launched back in 1981 by Henderson, Goldberg, and Green has developed into a major player in an emerging field. Henderson watches the center from a distance now, not from the dean's office. A distinguished scholar at the Center for Biosecurity at the University of Pittsburgh Medical Center, he feels a mix of pride and surprise at the prospect of CAAT's 25th anniversary, which will be marked by a daylong symposium in Sommer Hall at the Bloomberg School on November 2. "It's turned out to be such an extraordinary success," Henderson says of CAAT. "It's one of the things that I'm really kind of proud of, even though I have to admit that it's had a very different history from the one I had foreseen for it." Goldberg has been CAAT's director from day one. When Henderson tapped him to develop the formal funding pitch for the cosmetics industry, Goldberg cobbled together a small advisory board with representatives from industry, academia, and the animal-welfare community. Then, one evening not long after that board's first meeting, he got up from the family dinner table and headed into his office. "My wife, Helene, asked me what I was going to work on," Goldberg recalls. "I told her I was going to write a new grant. She looked at me kind of funny and said, 'Oh, sure, you're just going to sit down and write the whole thing from start to finish.' I said, 'Yup, I am.'" Three hours later, he emerged from the office waving a batch of handwritten pages and delivering a gibe: "You want to read it?" Goldberg got the last laugh that night, and he did it with a laugh that really lasted, as that pitch remains a pretty fair description of how things work at CAAT today. In recent weeks, I asked roughly a dozen animal-welfare advocates and scientists who've worked with the center or served on its board to take the measure of the center and gauge its accomplishments. Nearly all of them talked first not about specific study results or methodological breakthroughs, but about the divisive atmosphere that CAAT found itself in early on. "Before CAAT came along, there basically were two groups participating in the debate over animal testing," says Bernard Rollin, a philosophy professor at Colorado State University and the author of Animal Rights & Human Morality. "One side was naíve and scientifically illiterate. The other side was pious and set in their ways." Alan Goldberg is credited with finding the middle ground between the two sides of the animal-testing debate: "I guess I actually believe that people have come to their points of view honestly," he says. Photo by Will Kirk Goldberg set out to make a middle way between these polarized extremes. When Ellen Silbergeld, a professor in Environmental Health Sciences at the Bloomberg School, first starts talking about this, she makes it all sound pretty simple: "No one else started from the premise that both sides have something of value to say." But, of course, it wasn't simple at all, as anyone who's ever gone looking for middle ground on hot-button issues�think abortion, stem cells, or even the war in Iraq�can attest. Silbergeld goes on to tick off the keys to success in such endeavors: patience, persistence, integrity, communication skills, leadership instincts, and then more patience and more persistence. "I've often teased Alan that he's a secret Quaker," she says. "I was raised a Quaker, and the things that he's so good at, the search for consensus and the emphasis on listening, are really Quaker traits. With him, it's always about where we can all go together." When I relay this praise to Goldberg, he waves it off with a smile and a shrug. "I guess I actually believe that people have come to their points of view honestly, that they're defending a value system that's well thought out," he says. "The characterizations that come out of those value systems can sometimes be absurd, but the value systems themselves aren't. What I try to do is create an environment that allows for honest discussion, where you're trying to get at real motivations and not just trying to convince the other side that you're right." 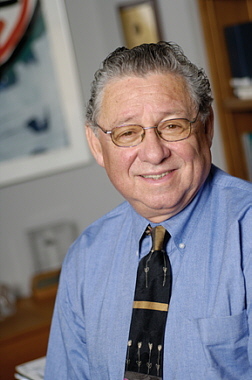 Robert Scala is retired now, but during CAAT's early years he worked as the director of the research and environmental health division at Exxon, which uses animals in research conducted by its chemical division. CAAT's work focuses as much on research methodologies in corporate settings as in academia. "To me, the thing that makes Alan Goldberg a genius is the way he found the broad middle ground when everybody on one side was screaming, 'Don't tell me how to run my lab!' and everybody on the other side was screaming, 'Don't you dare ever touch an animal!'" he says. "He just marched steadily and unabashedly through all that, inviting everyone to come along with him." When Colorado State's Rollin speaks up about animal testing issues nowadays, he no longer feels like a lone voice of reason crying in the wilderness. Sure, there are issues that still land animal-welfare advocates and scientists at odds with each other. And sure, there are headlines now and again detailing the crimes and intimidation tactics employed by fringe groups of animal-rights extremists. But today these are more anomalies than reflections of a broad reality, Rollin says. In large measure, animal-welfare advocates and research scientists are able to work with each other toward common goals in ways that seemed impossible back in 1981. This, Rollin believes, happened through CAAT and because of Goldberg. "I can't tell you how remarkable it is that Alan surfaced when he surfaced and where he surfaced," he says. "You know, I've been to thousands of talks in my career, and I've dealt with the activists and the scientists on every continent except Antarctica. Among all these people, no one else out there, no one, strikes me as a person who might have accomplished what Alan Goldberg has accomplished." CAAT's founding was announced on a Friday in September 1981. It was big news in the weekend newspapers. That Monday, Helene Goldberg had a strange encounter when she showed up at her job in an intensive care unit at Johns Hopkins Hospital. A physician walked up to her and said, "I'm surprised to see you're still wearing leather shoes." Then he walked away. "She didn't get it at all," Goldberg recalls with a chuckle. "I had to explain to her that I was now being perceived as having crossed the line and gone over to the other side." When it comes to animal testing, "alternatives" is an imprecise word, implying that the field is all about finding non-animal methodologies. In fact, the 3Rs are a more complex prescription for the future of research methods. Replacement is the most obvious of the Rs. It says scientists should never use animals if non-animal tests will achieve scientific results as well or better. Reduction speaks to careful experimental design. If animals are required, the numbers used should be kept to a minimum. Refinement speaks to the ethics of laboratory work. If animals are required, pain and distress should be kept to a minimum. Goldberg had done no such thing, of course. In a way, that was his secret weapon. The mission crafted by CAAT's advisory board aimed to turn the tables on the bitter resentment with which many scientists regarded the harsh rhetoric that sometimes emerged from the animal welfare community. "I knew that the science I'd done to that point in my career was of a very high quality," Goldberg says, "and I knew that I would be able to demonstrate that what we were going to do here at CAAT would be on the same level." So CAAT introduced itself less as ethical crusader and more as advocate for a scientific bottom line drawn in strictly rational strokes. The center didn't invent the conceptual framework behind this approach; rather, it adapted ideas that British scientists William Russell and Rex Burch had put forth in a 1959 book, The Principles of Humane Experimental Technique. The pair outlined a strategy that came to be known as the "3Rs": replacement, reduction, and refinement (see sidebar at left). It's often summed up in the catch phrase, "Humane science is the best science." "In the 1980s, the 3Rs were basically unknown in the science community in this country," says Martin Stephens, vice president for animal research issues for the Humane Society of the United States. "It's not as if the idea had been thoroughly debated and dismissed. It's just that it never even made it onto people's radar screen." Goldberg set out to accent the second word in the phrase humane science. "When I'd get up before an audience of scientists and toxicologists, many of whom were probably expecting me to scold them, I used to start out by saying, 'I believe that everyone in this room is an animal welfarist,'" he recalls. "Then we'd all talk together about how and why we give animals food and water, and how and why we don't harm them unnecessarily." 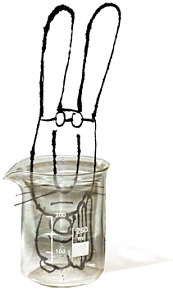 Goldberg would offer the researchers reassurances that CAAT was not advocating scientific absurdities like a ban on animal experiments anytime in the foreseeable future. Only then would he ask the questions that led to the heart of his presentations. Sometimes, he'd start by talking about the heart rate of a mouse. The scientific literature everyone soaked up in medical school measures it at 750 beats per minute, right? Then why is it that studies now show that when even minimal steps are taken to make a mouse more comfortable�a darkened space, a few toys�the heart rate drops to 450 beats per minute? And what about the conventional wisdom that rats never get post-surgical infections? How do we square that with the studies showing that rats heal more quickly when the surgeries they undergo are sterile procedures? Goldberg dropped one such example after another on his way to CAAT's bottom line: "If you're studying an animal suffering from pain and stress, are you really studying what you want to study? What this center is all about is this: Can we do science better than we do it now? Can we prove the hypothesis that humane science really is the best science?" Some of the strategies CAAT adopted to advance this discussion applied traditional academic models to the new work of developing alternatives. The center sponsored scientific meetings and organized workshops. It founded the triennial World Congress. It published educational materials and launched a global, Web-based clearinghouse for information on alternative methodologies ( altweb.jhsph.edu). Why is it that studies now show that when even minimal steps are taken to make a mouse more comfortable — a darkened space, a few toys — the heart rate drops to 450 beats per minute? Other strategies were born of necessity. Rowan describes CAAT's small-grants program as one that takes "an NIH approach," in that scientists apply for support of their own established research agendas, as long as the work can be linked to the 3Rs. Many European countries and some private funding organizations take a different tack, following an "RFP approach" that targets specific research outcomes and then invites proposals from labs promising to achieve the desired outcome. The latter approach was out of the question at CAAT, especially early on. Its annual budget was too modest and its financial future too uncertain to gamble big sums on expensive, start-from-scratch studies. Instead, the center chose to dole out small dollops of seed money�$25,000 or $50,000�that investigators would use to develop preliminary data that they might be able to parlay into federal funding down the road. In an effort to boost CAAT's credibility, Goldberg recruited established labs at major academic institutions to apply for these grants. Then and now, his aim was to move the concept of work on alternatives from the scientific margins, where it was viewed mainly as an advocacy undertaking on the fringe of science, and into the mainstream. Virologist Diane Griffin, chair of the Department of Molecular Microbiology and Immunology at the Bloomberg School, applied for a CAAT grant to test a new way of studying how viruses cause disease in mice. Traditionally, this work involved giving the virus to a large number of mice and then killing several of them a day over a course of time and measuring how much virus was in their brains and spinal cords. The grant funded her work on viruses engineered to express bioluminescent molecules�in this case, the same luciferase that fireflies use to light up. Griffin now can track the progress of the virus through a mouse's body by taking a series of pictures with a specialized camera that's housed in a square black box that sits atop a counter. The box looks like a small household safe. "The amount of light in the pictures this thing takes is directly proportional to the amount of virus that's there," Griffin says. "Without ever killing the animal, we can see where the virus is replicating, how much of it is there, and how it's moving from one place to another." From a 3Rs perspective, her method has obvious advantages�it requires fewer animals, and the animals used are able to beat the virus and survive. But these weren't Griffin's primary goals. "We're happy that we need fewer animals now," Griffin says, "but the real reason we tackled this is that we thought we could get more and better information out of this approach." At Goldberg's suggestion, I also visited the Ross Building laboratory of Hopkins surgical oncologist Steven Leach to take in another example of how work on alternatives plays out in the scientific mainstream. Leach is seeking to unlock the secrets of pancreatic cancer by studying the way genes and signaling pathways work during the earliest stages of the organ's development. Until recent years, such studies were conducted with mouse embryos, but the work was slow and cumbersome. Female mice produce only 10 embryos in a litter, and the only way to observe them is to remove them from the uterus, killing the embryos. "It was in frustration, really, that we turned to zebra fish three and a half years ago," says Leach, whose work is not financed by CAAT. Zebra fish fertilize eggs externally, hundreds at a time, enabling technicians to harvest still-living embryos in great numbers. Plus, these embryos are transparent enough that researchers can watch developmental events unfold in living cells over real time. This offers two potential advantages. Leach can now conduct large-scale genetic screens, studying the progress of mutations designed to mimic the way human pancreatic disease develops. He can also use the zebra fish as high-powered tools for the identification of drugs with disease-fighting potential. Leach reaches into a desk drawer and pulls out a rectangular plastic dish dotted with tiny wells, nearly 100 of them in all. "We can put 10 zebra fish embryos in each of these wells," he says. "Literally, that's almost a thousand fish in a dish that fits in the palm of my hand. By delivering drugs into these wells, we should be able to screen hundreds of compounds a week to see which ones change the behavior of early cancer cells." This work is just now getting under way. Leach predicts that his lab will be able to run preliminary tests on tens of thousands of compounds in just a year's time. Running that number of tests through the slow-moving mouse model would drag on for decades, maybe even centuries, he says. Such work falls into the rubric of alternatives by replacing one species with another on a lower rung on the phylogenetic ladder. The rule of thumb is this: Don't use primates when you get the same or better results using mice, and don't use mice when zebra fish will do the trick. "The fact that good science is humane science�and that really is a fact, in my mind�that's a tenet of everything we do in this lab, including our work with mice," Leach says. "But it wasn't the feature that really motivated us here. We went this way because it had so much potential." Such science-first words are music to Goldberg's ears, evidence that the 3Rs are indeed becoming a driving force in the scientific mainstream. Supporters of CAAT's approach to funding research point to labs like Griffin's as signs of success. The center has also supported important initiatives in the corporate world. The Gillette Program Project focused on the development of new eye-irritation test methods. The Avon Program Project spurred advances in in vitro methodologies that helped reduce the use of guinea pigs in the testing of dermatology products. Advances in biostatistics and computer modeling of biological systems enable researchers to construct experiments using only a fraction of the animals they would have needed 25 years ago. "I really do think that the grants program has helped to move this whole area of alternatives forward, particularly at the interface between the academic community and regulated industry," says A. Wallace Hayes, a toxicologist formerly with Gillette and now on the faculty at the Harvard School of Public Health. The Bloomberg School's Silbergeld agrees. "I would say this is the most important thing the center has done," she says. "CAAT created a space where this new kind of science can happen. They created a market, both with regulators and with industry, where one didn't exist before." The advocacy group People for the Ethical Treatment of Animals (PETA) strongly disagrees with this conclusion. In 2002, PETA sent a four-page letter to university President William R. Brody outlining its case against Goldberg and CAAT. Some companies and foundations that give financial support to CAAT have received similar missives. PETA contends that CAAT has failed to develop alternative testing methodologies that replace current animal tests and that the center focuses too heavily on arcane "refinement" techniques that make only minimal impacts on animal welfare and animal usage in labs. The group excoriates Goldberg for arguing at various points against the elimination of such procedures as the Draize Test and the LD-50 procedure, a cytotoxicity test in which groups of animals are exposed to varying levels of test compounds until 50 percent of them die. (LD stands for lethal dose.) Goldberg says that while the use of both tests was declining, they remained scientifically necessary in certain circumstances. "All I see when I look at CAAT today is work on tweaking this and tweaking that and using funds to re-study things that have already been studied to death," says Jessica Sandler, SPH '82, the director of PETA's Federal Regulatory Testing Division. "Goldberg seems to have completely forgotten that one of the Rs is replacement." Recounting CAAT's origins, Sandler charges that the center was established as a "slush fund" for the cosmetics industry and works today primarily to "provide cover" for financial supporters with a financial interest in promoting animal testing. These supporters include the Charles River Laboratory, a commercial enterprise that breeds animals for testing, and Americans for Medical Progress, a nonprofit whose mission is to defend what it views as the proper use of animals in medical research against attacks it considers irresponsible. "We would shed no tears whatsoever if CAAT just went away," Sandler says. "Nothing is coming out of there anyway." Not everyone in the animal welfare community agrees. In 1990 the Humane Society awarded Goldberg the inaugural Russell and Burch Award for advancing the cause of alternatives to animal testing. That's not a verdict that Stephens shies away from today. "He has arguably done more to advance the 3Rs approach in industry and academia than any other person in the United States," Stephens says. "While we still have a long way to go, Dr. Goldberg has laid a firm foundation on which others can now build." Despite Goldberg's high standing with many animal welfare advocates, he sometimes finds himself caught in the middle of controversies. A few years back, the Hopkins hierarchy came out strongly opposed to proposed federal regulations that would have extended the reach of the Animal Welfare Act governing the care of research animals to mice and rats, two species that were excluded from the scope of the act when it was passed in 1966. "Even though Hopkins has had this alternatives center for all these years, it feels to some of us like the institution still takes the attitude sometimes that we've got to fight these animal-rights ignoramuses," the Humane Society's Rowan says. "They can really undermine the good things their own center has been doing." Rollin finds such conflicts a natural outgrowth of Goldberg's position as a proponent of alternatives who is working in a research-intensive institution. "Being in the middle like that, it's dangerous," the Colorado State philosophy professor observes. "It's like you're walking on the yellow lines in the middle of the highway instead of on the sidewalk. You get it from both sides." D.A. Henderson's initial fears about CAAT's dismal prospects very nearly came to pass. As the center's initial three-year grant drew to a close, CTFA came within a whisker of pulling its support. Goldberg credits Henderson for saving the day in 1984 by coaxing the association into financing the center for one more year and then granting permission for CAAT to seek funding from its members. Scala was still working at Exxon when Goldberg and CAAT first approached the company about signing on as a donor. Exxon declined that request without comment, Scala says. "Then, for a year after that, we just sat back and watched," he says. "To be honest, nobody knew at first exactly what they were trying to do. But then the more you watched, the more you saw it, the way that these guys really knew what they were doing and really knew how to make the science better. We ended up funding them pretty generously." Today, CAAT works with a diverse base of corporate-, private-, and public-sector dollars. Goldberg is confident that the center is on firm financial footing as it prepares to celebrate the coming anniversary. There's a much bigger transition on the horizon after that, however. Goldberg plans to retire from CAAT. No date has been set for the founding director's departure, but a university search committee is at work trying to fill the post. The way Goldberg sees it, the challenges that await his successor will be as imposing in their own way as the challenges CAAT confronted early on. Companies here and abroad will need to come to terms with stiff regulations proposed to sharply limit the use of animals in the testing of any products that are for sale in Europe. A campaign to evaluate the toxicity of thousands of so-called high-production-volume chemicals has sparked fears that such tests will involve millions of animals. "The way I see it, the challenges seem to be sort of recycling themselves," Goldberg says. "You go through the whole cycle and then you find you're back in a place that's like where you started. We're at one of those points now. It's almost like an Escher painting. Science has taken us a long way, but we have to start the cycle again and find new ways to make the new breakthroughs we need now." Jim Duffy is a freelance writer based in Cambridge, Maryland. He wrote "In Darwin's Footsteps" in the June issue of Johns Hopkins Magazine.